The National Federation of Young Farmers’ Clubs (NFYFC) is backing a campaign to ensure that its over-18 members have their say at this year’s General Election. The Federation has pledged its support to the British Youth Council’s ‘League of Young Voters’ campaign, which aims to tell young people why voting matters. NFYFC is encouraging all Young Farmers, who are eligible to vote, to ensure that they are registered in time. Voting in the General Election takes place on Thursday 7th May, but the deadline to register to vote is Monday 20th April. The League of Young Voters is a politically neutral initiative that aims to amplify young people's concerns and expectations in the run-up to elections. It was set up before the European elections last year and is a movement across Europe designed by young people, for young people. The British Youth Council have been selected as the UK national branch of the campaign and will be delivering activities, events and stunts as part of the campaign over the upcoming year, laying the foundations for a General Election campaign. Hannah Talbot, chair of NFYFC, said: “One of the great things about NFYFC is that it is the members that steer the Federation in the direction they desire. They shape not only the future of the NFYFC, but influence agriculture as a whole. Democracy is an essential part of our organisation, but it is also essential that members have their voice heard outside of Young Farmers. 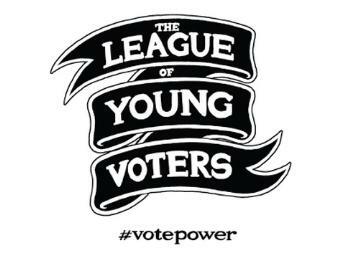 Click here to find out more about The League of Young Voters, which offers great advice on how to vote and which political party is right for you. You can also find out more about them on Facebook and Twitter. You can also help spread the message about encouraging people to vote by clicking here. A Young Farmer from Staffordshire has won herself a free 3-day pass to this year's Annual Convention in Torquay. 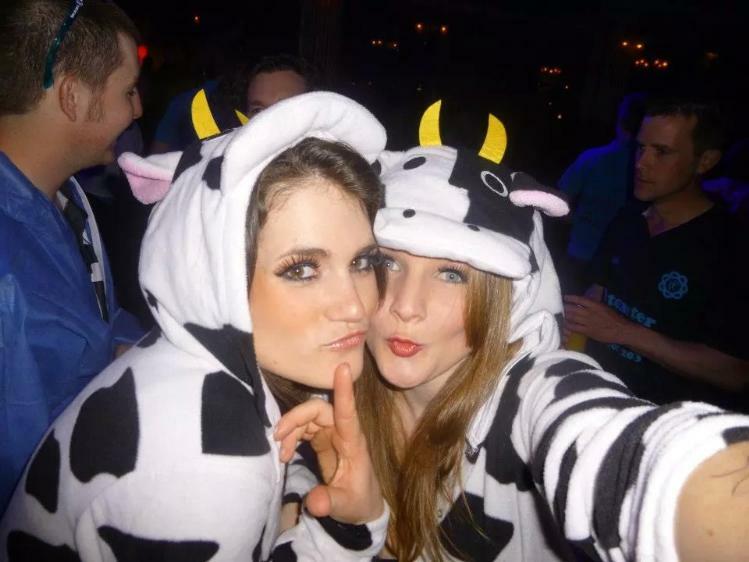 Georgie Brighton, from Uttoxeter YFC, is the lucky recipient of a weekend pass, having submitted her cow onesie photo (pictured above) back in October. Georgie's photo was taken at 2013's Annual Convention in Blackpool and is of her and her friend from Uttoxeter YFC, Izzy Durose. Georgie said: "The theme was boiler suits, but we decided to think out side the box! I'm over the moon! Izzy and I have loved seeing it on the AGM marketing material. It brings back so many great memories of the weekend! Can't wait for this year's AGM to take even more photos!!" If you missed out on this prize, fear not! There are still other competitions to enter. You have until 6th April to enter our Face of Convention competition, which will win you backstage passes to Convention, where you could meet the Radio 1 DJs. Your face will also be featured on the next cover of Ten26. Young Farmers Clothing are giving away 10 free official polo shirts for this year's Annual Convention. All you have to do is 'Like' their Facebook page. The winner will be picked at random on 10th April. Headline sponsor, Massey Ferguson, are giving away a pair of tickets to their exclusive guest lounge for the whole of Convention weekend. Entrants must be received by 17th April. Click here for more details. Massey Ferguson is encouraging Young Farmers to make the most of every minute of this year’s Annual Convention. The tractor giants have been officially unveiled as the headline sponsor of NFYFC’s 2015 Annual Convention, which takes place in Torquay from 24-26 April. 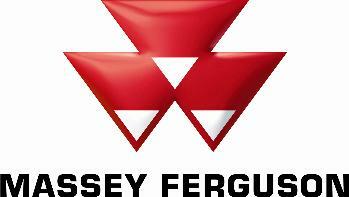 It is the third year in a row that Massey Ferguson has sponsored the event. Their sponsorship of this event, generally considered the biggest event in the NFYFC calendar, further emphasises the company’s active support for the next generation of farmers. Campbell had one prevailing piece of advice for all Young Farmers attending Convention. “There is something for everyone. The overriding rule is ‘Work Hard, Play Hard’! This is a social occasion. It’s an opportunity to meet like-minded people from across the country and start building up relationships and friendships that can last for a lifetime. But there is also definitely an opportunity to study and listen to what is going on in the world of farming. Simply send your answer, along with your name and the name of your club to magazine@nfyfc.org.uk. Entrants must also provide the name, club and email address of the Young Farmer who they would like to accompany them. This competition is only open to YFC members who have weekend tickets for the Annual Convention in Torquay. The tickets are valid for the Friday, Saturday and Sunday night of Convention from 9:00pm-2:00am. The winner will be selected at random on Friday 17th April. Three teams from different corners of the country will battle it out at the national finals of the Performing Arts - Pantomime competition, sponsored by Massey Ferguson. Whitley Chapel YFC of Northumberland and Cheriton & Tedburn YFC of Devon will join Aberedw YFC of Radnor at the final at the Annual Convention in Torquay. 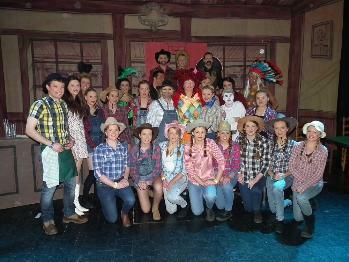 At the Northern regional final in Retford, Whitley Chapel (pictured above) shot down their rivals from Cumbria, Bedfordshire and Derbyshire with their Wild West themed pantomime, "The Good, The Bad and The Panto". Meanwhile, Cheriton & Tedburn (pictured right) won their Southern regional final in Weston-Super-Mare, seeing off challenges from Herefordshire and Gloucestershire. The judges were particularly impressed with their performance of 'Rehooded' a spin-off of the classic Robin Hood story. Club chairman Dan Grist, who plays Robin Hood's son, Billy Hood, expressed his delight at his team's success, tweeting: "What a huge weekend for Cheriton & Tedburn YFC!! Bring on Nationals! #proudchairman @DevonYFC @SouthWestAreaYF". Wales representatives, Aberedw YFC (pictured bottom right), complete the line-up with their performance of 'The Magic Bone', which tells the story of a crisis in Nursery Rhyme Land, which is being taken over by the evil Creuella. The three teams will go head-to-head at the national final at the Princess Theatre in Torquay on Saturday 25th April. Tickets for the final are available to the general public, costing £10 for adults and £5 for concessions. For more information and to book your tickets, please contact Gill Harrison, NFYFC competitions officer, on 02476 857225, or email her at gill.harrison@nfyfc.org.uk. Doors will open at 1:00pm. To see the full results from the Northern and Southern regional finals, click here.